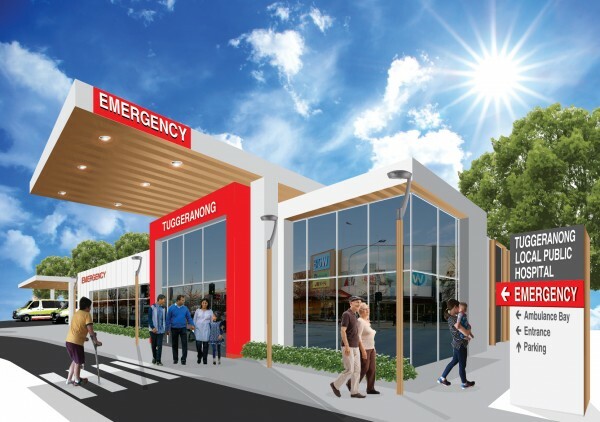 The Canberra Liberals have promised to build new local public hospitals in Gungahlin and Tuggeranong if they win government next month, but ACT Labor Senator Katy Gallagher, a former ACT Health Minister and Chief Minister, has expressed concern at the prospect of “fragmenting” emergency services across Canberra. The two new hospitals would have 24-hour emergency departments with ten beds each plus 12-bed short stay wards and would be staffed by specialist doctors and nurses, Leader of the Opposition and Shadow Minister for Health Jeremy Hanson said today. “The Gungahlin Local Public Hospital and the Tuggeranong Local Public Hospital will provide more beds in more locations, alleviate the poor geographic spread of hospital beds in Canberra and help return the ACT’s health system to the best in the nation,” Mr Hanson said. 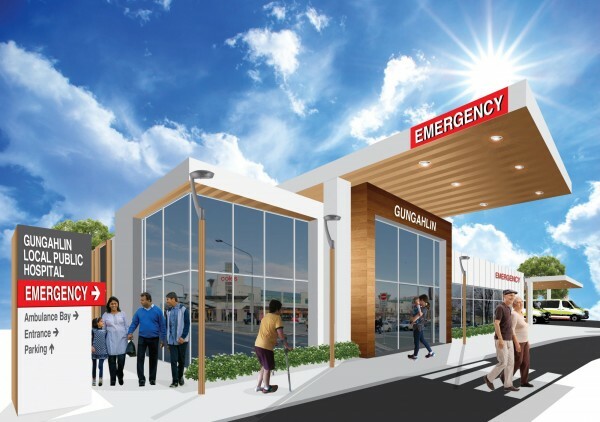 The Opposition Leader said the Gungahlin Local Public Hospital and the Tuggeranong Local Public Hospital would provide care coordination as well as pharmacy, pathology and imaging services. “Our northernmost and southernmost regions need these hospitals and they’ll become even more important as our city grows,” Mr Hanson said, adding that the new hospitals were part of the Liberals’ broader plan for health, which included the party’s previously announced $395 million plan to redevelop The Canberra Hospital. ACT AMA president Steve Robinson told The Canberra Times he had reviewed the proposal yesterday and thought it was a “crackerjack idea”. “We would definitely support this and we like the thinking behind it,” he told the newspaper. But Senator Gallagher took to Facebook to warn of the risks associated with running additional emergency departments. “I have stayed out of local politics since leaving the Chief Minister’s post 20mths ago but I have to say that I am astounded that the AMA would support this proposal,” Senator Gallagher wrote. “I looked at a similar concept when I was Health Minister and all the advice including from the AMA & every ED doctor I spoke to (and it was a lot of them) told me of the danger to patients and staff of fragmenting emergency treatment across Canberra like this policy would. Are you saying we also then need to ban all paid political advertising by anyone but a registered party or candidate themself and not allow anyone else to put election ads out? It’s an interesting extension of the donations ban, I would have to look into the pro’s and cons in more detail but I am willing to be convinced on this. Probably. Yes. It is really little different to donations being made to a political party in my view. As for the new building at Woden, that really ignores the $1b odd that Labor have/is spending fixing the place up including the major expansion of ED and the operating theater wing. Is that the b$1 that ACT Labor claims to have invested in ACT Health Infrastructure since 2009 but did not stop Canberra Hospital becoming the 2nd worst performing in the country ? It got to that level of performance under this ACT Labor/Greens Gov’t in the 1st place. My personal experience of the Canberra hospital system under labor has been well above expectations two children born in the excellent centenary hospital which was expanded and rebuilt. Money well spent. My old mum getting treatment for bowel cancer plus a couple of mini TIA’s again all good and timely treatment. Seems time to me the ones who whinge are the ones who expect to go to an ED with a sprained ankle or a cold and expect to be seen and treated in 5 minutes. And you need to be careful of statistics and comparisons to other states too especially in a small place like Canberra. If you ever studied statistics at school Canberra is a classic case of statistical anomalaties. Not saying the system is perfect but certainly not that bad either. Oh and that $1b also add in the new cancer building at Woden plus the new UC hospital under construction plus expansion font he operating theatre and ed wing at Woden. Some good facilities right there. You might think so, but not necessarily. For one, the 1 million spend cap here limits how much the ACT Libs can put out scary campaign messages with advertising, whereas the federal campaign is only limited by each parties fundraising abilities and willingness to pour money into ad’s. Does the m$1 spend cap here include the FUD anti Liberal advertising campaign underway by Unions ACT ??? No, of course not. The amount being spent on that is surely without precedent in an ACT election. 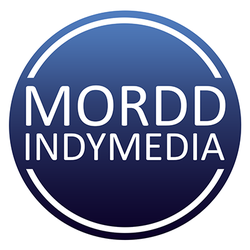 Mordd – IndyMedia is already officially calling for a ban on all political donations from anyone except Australian citizens as individuals, with a per year cap, and an increase in exisiting electoral funding to cover the shortfall. The Union advertising is in addition to the ALP’s and has its own cap. Each individual union and Unions ACT has a $40,000 spend cap, with I think 25 in total, meaning they could spend up to $1m in addition to Labor’s $1m. Last election 3rd party campaigners (unions, clubs, industry groups etc) could not combine their spending caps meaning each union would have to run its own mini-campaign, but that was scrapped before this campaign allowing them to combine their spending into one huge anti-Liberal advertisement. Is that the b$1 that ACT Labor claims to have invested in ACT Health Infrastructure since 2009 but did not stop Canberra Hospital becoming the 2nd worst performing in the country ? It got to that level of performance under this ACT Labor/Greens Gov’t in the 1st place. It’s been clarified that these ‘local EDs’ will only be equipped to serve level 4 and 5 cases (the two lowest). Because of this the Emergency Medicine professional body is warning they shouldn’t even be called EDs. Level 5 cases are generally minor things like prescriptions and results review out of hours. Level 4 deals with signs of food poisoning, sprains, lacerations and other severe discomfort. For level 4 cases there is the potentially for negative outcomes and even threat to life down the track, but assessment and treatment isn’t required within an hour, and can be put off even longer. More to the point these sorts of things are already dealt with at the walk-in centres. So in essence providing the same service as the walk in centres, but with Doctors rather than nurses looking after patients. Sounds a waste of money big time. Just open some more walk in centres, but guess the libs wouldn’t want to do that as it may be an admission the walk in centres are working which is contrary to their election narrative. So even though you are living in remote Gungahlin you are happy to wait a week to see your GP or drive into Calvary ED to get in the triage queue? You must really hate the Liberals. The walk in centres are nothing more that what the first aid guy at a football match can do. They are a totally inefficient way of administering primary health care. I don’t wait a week to see a GP, I shock horror pay to see my doctor of choice and can normally get a booking the same day or next day. For those times where I cannot get a booking and really need a quak I go to one of the super clinic things and wait my turn with everyone else. Never had the need to goto ED for anything but an absolute emergence, thus far 3 times in my life, including one where I saw the GP first. As for hating the Liberals, hate is a strong word. But for what it is worth what I have seen of the health ‘policies’ is nothing but a cynical vote buying exercise. They are tyring to utilise the emotive issue of health as vote buying. Just look at the language and outright lies about these new ED’s. Saying Gungahlin and Tugeranong residents are further away from ED services than rural centres. Please… An absolute and utter lie. And these supposed new ED’s I would prefer the capital and operating expenses of that be spent expanding services at Calvary hospital to provide the near same services like Woden provides. Noting Woden is already getting a major physical and staffing expansion anyway. As for the new building at Woden, that really ignores the $1b odd that Labor have/is spending fixing the place up including the major expansion of ED and the operating theater wing. So what is the point of this new building, except as a wedge for political purposes? Does the m$1 spend cap here include the FUD anti Liberal advertising campaign underway by Unions ACT ??? No, of course not. The amount being spent on that is surely without precedent in an ACT election. Mordd, you have to be joking. Mediscare? Really? Have you read ANY Australian history over the last 45 years? The scary part of what was being said about the dismantelling of Medicare was that it was true. Whether you believe in government provided medical care to the general populace or not, the attack on its provision is historical fact. I will give you that Federal labor had a basis in fact for mediscare, but then massively exxagerated that basis and used it to drive a campaign driven by FUD (fear, uncertainty and doubt) without much regards to actual facts. The Liberals have now taken it a stop further, and ditched the initial basis for fact and are just making up claims and using FUD with them. If what you say is true then the Liberals have the election in the bag. You might think so, but not necessarily. For one, the 1 million spend cap here limits how much the ACT Libs can put out scary campaign messages with advertising, whereas the federal campaign is only limited by each parties fundraising abilities and willingness to pour money into ad’s. For another, not to toot our own horn, but I am judging that overall, our electorate is slightly more educated and smarter than the Australia as a whole on average, and as a result, this FUD tactic won’t be quite as effective here as it was for federal labor. Actually the scary part was that people believed Labor’s outright lies about the government’s plans for Medicare. Scarier still was that people continue to believe it. No acute orthopaedics. No plastics. ACT Health contradicts both these claims. For anything more than a splinter,the walk-in centres just push you through to the ED. I know because I have been there many times in the last few years, usually with advice to go straight to ED or my GP. Many times? You must be very accident prone. Or perhaps you were repeatedly seeking services that are not within their scope. I’ve only needed the walk-in centre twice since they opened. The first time, I was in and out in no time compared to the ED, with medication and all. It was great. Second time, it was just after closing so I had to divert to the ED anyway, a very long wait for a cut that they said the walk-in centre would have better and quicker handled. Lots of odd information in here. Calvary does not have a “fully fledged trauma ED”. No surgeons on site. No acute orthopaedics. No plastics. Transfer ~ 5% of their patients to TCH. Like I said it doesn’t have all that TCH has though my info is they do have orthopaedics, and on occasion paramedics have taken patients there that really needed TCH. But if they only need to transfer 5% of patients as you say, they must have enough to work with. Sorry about the typos in prev post. Of note, away from the anecdotal stories, how many people know what the waiting times are for TCH and Calvary. The “worst in the country” figures are comparing states and are old data. Hardly valid, when small rural hospitals tend to report almost zero wait times. Comparing hospitals, the ACT hospitals do fine. Think you’ll find the median wait times for both are <50 minutes. Compare that to your GP or your dentist. Alternative is to have GP’s…..that will be fine……but, 3 issues appear. 1. It’s not a hospital. – Won’t fit any definition. 2. It’s not an emergency department….see 1. 3. It’s an urgent care clinic, funded by the government. It will take very little work form the hospital ED’s, It will take a lot of work from the local GP’s and remove any incentive for them to offer out of hours care. Also the overnight Home Doctor Service. For anything more than a splinter,the walk-in centres just push you through to the ED. I know because I have been there many times in the last few years, usually with advice to go straight to ED or my GP. They are not a triage centre, you could get as much help by Googling your symptoms on your phone [which is actually what they did once to find the correct treatment while I was there]. As for people dying due to “confusion”, as alleged by Gallagher, the paramedics will know where to take different types of emergency patients and even if someone turns up at their local ED, they will have immediate care that’s greater than can be provided by an ambulance and they will have it sooner. Thus its more likely these new hospitals will save rather than cost lives. Calvary doesn’t provide the full range of hospital services so there are currently patients that need to be moved from there to Woden, just as will happen with some patients with these new hospitals. The key thing is that more people will be treated away from the main hospital, freeing it up to get to the more urgent cases faster. There’s been cases where people have been taken to Calvary instead of Canberra by accident by paramedics. And Calavary despite not having all that Canberra offers, is still a fully equipped trauma ED.